Will Pravin Gordhan pull it off? 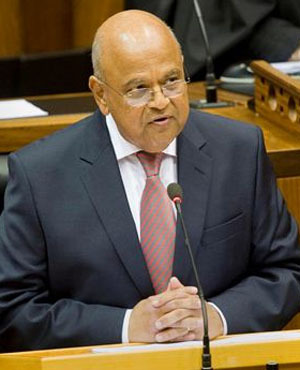 Cape Town – South Africans at home and in the diaspora, current and potential investors, the country’s trading partners and rating agencies all have their eyes glued on one man during this week: Finance Minister Pravin Gordhan. In fact, they have one eye firmly on him and another darting uncomfortably between him and his boss, the increasingly unpredictable President Jacob Zuma, watching out for unexpected surprise moves from him. Gordhan’s every step will be watched from the moment he walks into the National Assembly, when he sits down waiting to be called, and as he walks towards the podium to deliver his much-anticipated budget speech. His demeanor will be the subject of analysts and commentators here and abroad, and every word he utters – even before he walks to the podium – will be cause for all sorts of speculation, scrutinised to the smallest detail. While many will be trying to read between the lines for possible hidden meanings in his presentation, the rest of us – glued to our smartphones, televisions and tablet screens – will be scrutinising the numbers, trying to make sense of them and hoping for the best. 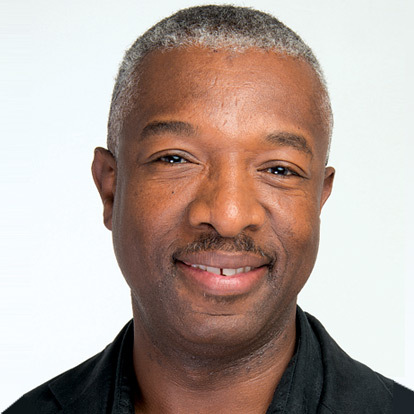 In a very strange twist, the short- to medium-term economic fortunes of Brand South Africa lie squarely on the shoulders of this one man and his team at National Treasury. If he falters, so do we all. If he fails to meet expectations – especially those of Fitch, Standard & Poor’s and Moody’s, the three New York-based rating agencies who will be determining the economic fate of South Africa – we will all have to return to our private and collective drawing boards to relook our financial plans for the year ahead. Much is at stake. Mega projects would have to be shelved or repackaged. First to be jettisoned must the reported plans by some obscure presidential planning team to buy a reported R4bn presidential jet for Zuma. For the sake of us all, I hope South Africa’s tertiary students keep their eyes on this one. The government would then have to rethink its nuclear new build procurement plans and other mega infrastructure projects, aimed at stimulating the economy to boost growth. The crowd of nuclear vending countries amassed at South Africa’s door must also be worried. A South Africa on the verge of being relegated to junk credit status would be a déjà vu for the two of them who were there during the first and failed procurement round of 2008. At the time, then-president Thabo Mbeki was recalled less than a week before the winning bid was to be announced. The subsequent domino effect saw an interim government under acting president Kgalema Motlanthe, firmly remote-controlled from Luthuli House, unable to commit to building a fleet of six to eight nuclear power plants. Then, as if things couldn’t get worse, the global economy caught a cold and its shivers reverberated to right within South Africa’s economic shores. For a short period, the appetite for nuclear new build seemed to have disappeared faster than one could say Nkandla. Fast forward from the years preceding 2016 up to now, when we have at least five nuclear vending countries camping on our doorstep, all hoping that South Africa will be able to afford their technology, despite the odds. In truth, however, many of the country’s old power stations are overstretched and nearing their retirement/decommissioning age. Investing in new build to replace them with cleaner energy – a combination of renewables, nuclear and hydropower – to stabilise the country’s baseload remains a necessity, but government will have to find a smart way to do this without upsetting a growing list of other priorities. Tertiary students are expecting university fees to fall; they will not stop until government finds a lasting solution to this and other radical transformation measures in higher education. Toyi-toying alongside them are contract workers who demand permanent jobs with benefits and other regular employees at tertiary institutions, who now demand to be paid minimum monthly salaries of R10k. Understandably, none of these people will believe that the country cannot afford to meet their unrealistic demands for as long as they see endless reports of corruption and wastage in government. Someone is going to have to lead from the front and, by the look of things, it will not be Zuma. Still floating on Planet Zuma, our dear president continues to see nothing wrong with having fired a very competent finance minister to protect what are clearly private interests, replacing him with his Umkhonto we Sizwe comrade whom he now considers to be the most qualified finance minister he has ever appointed. Now, go figure! The question remains: will Pravin Gordhan prove to be our knight in shining armour? READ: Is Gordhan SA’s knight in shining armour?